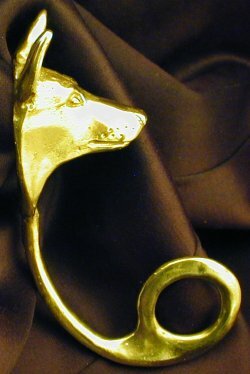 Obviously just starting these dogs, but I am adding to them fast. 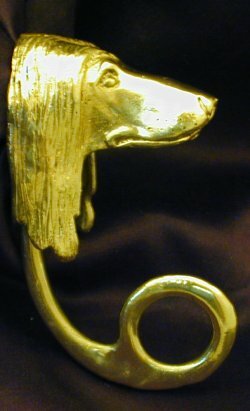 Please let me know which breeds you would like! 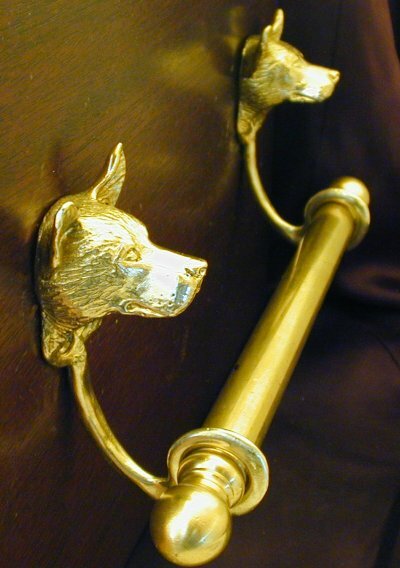 $109 each. 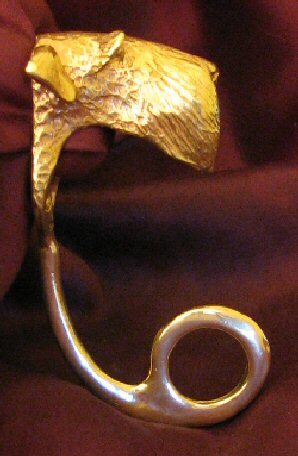 Quantity discounts available ($99, $75). 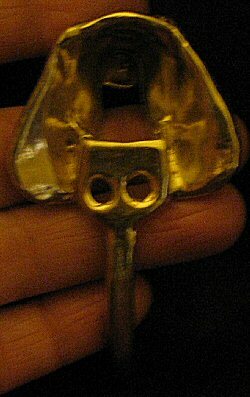 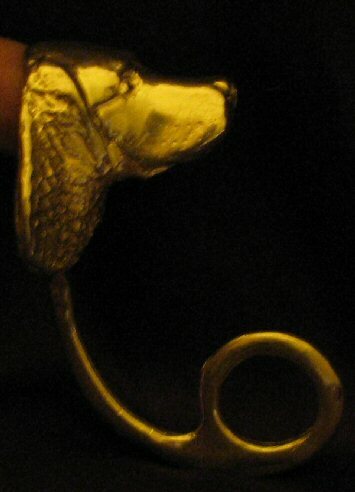 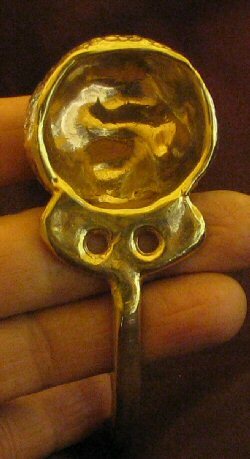 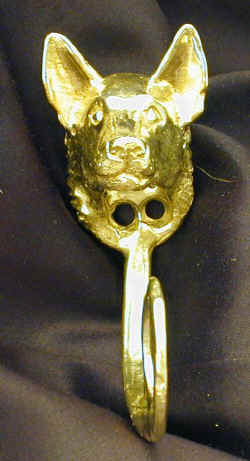 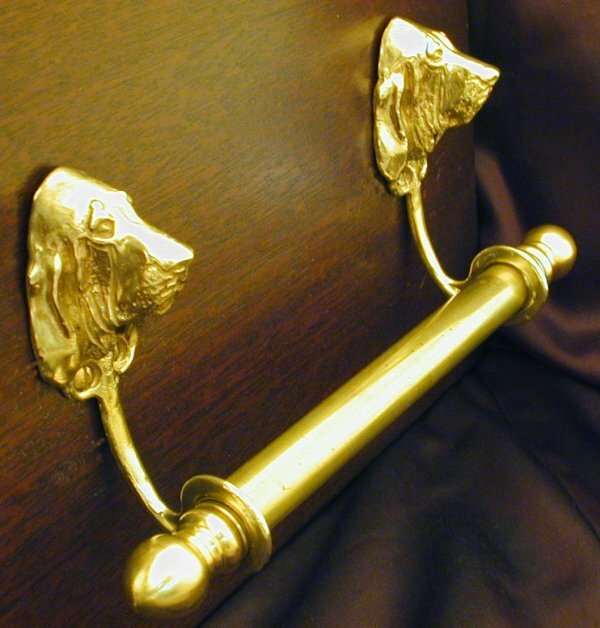 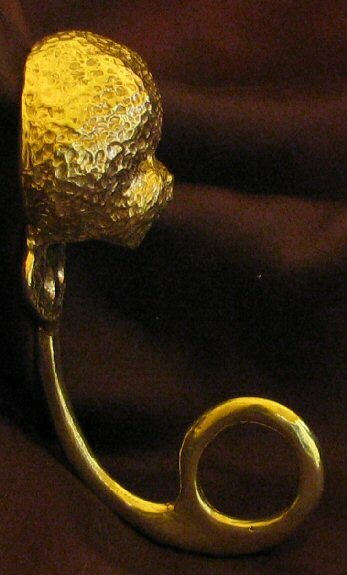 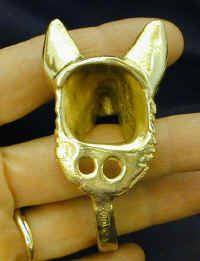 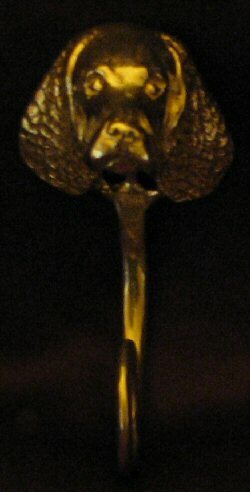 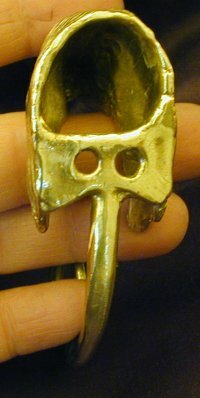 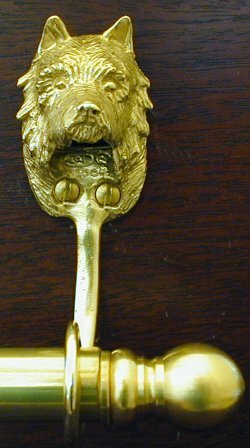 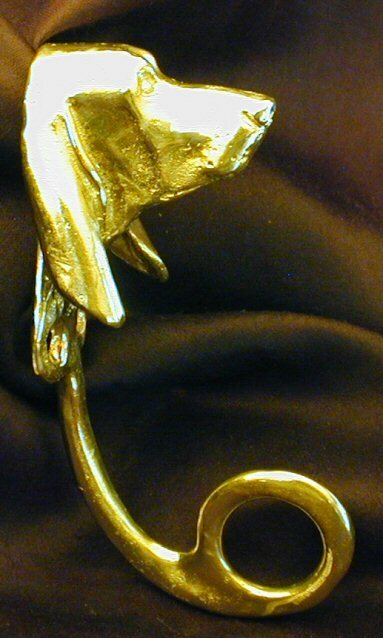 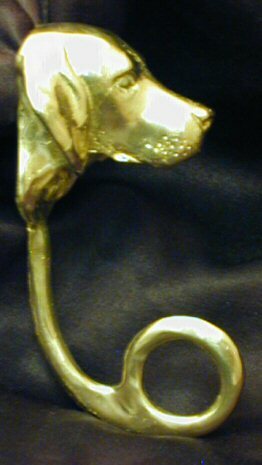 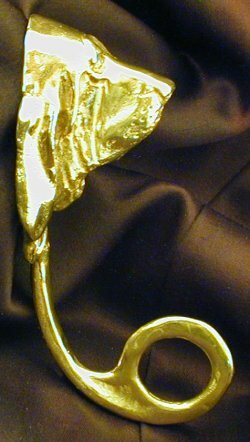 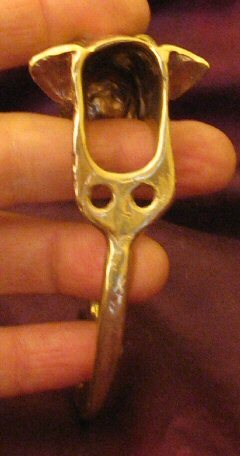 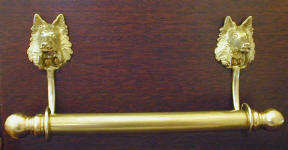 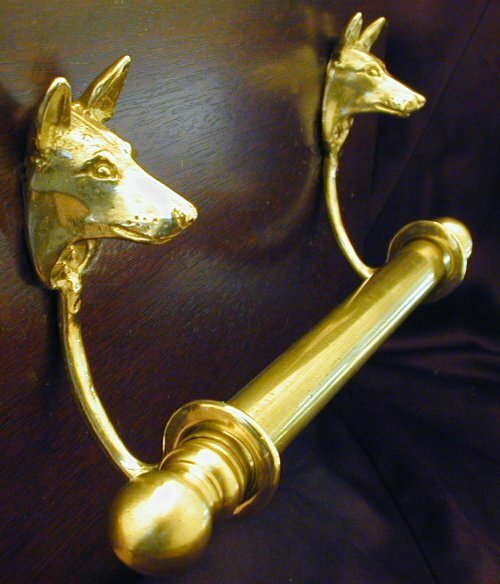 (This price is includes 2 dog heads, a 6" brass rod [5/8" diameter] with finials). 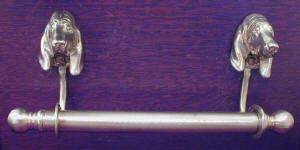 If you want a longer rod, it is available @ $2 for each additional inch, up to 36" (longer rods are available, but may have to be specially ordered). 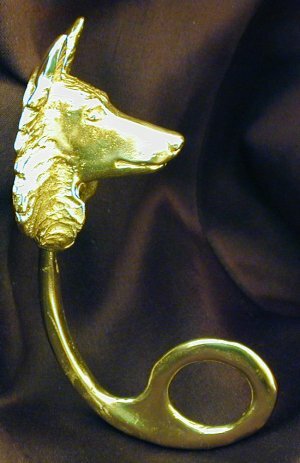 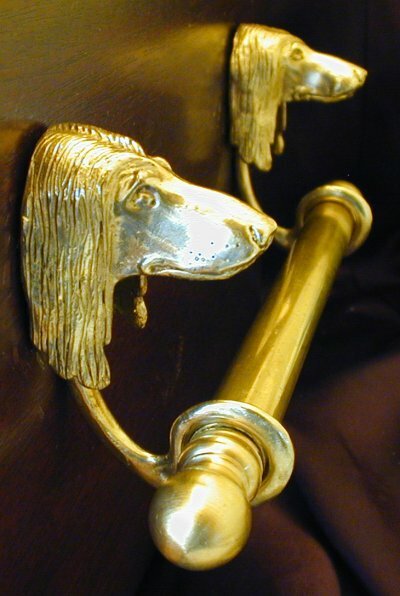 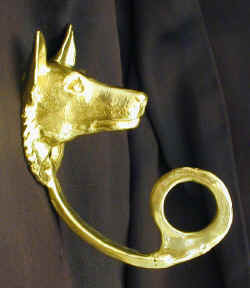 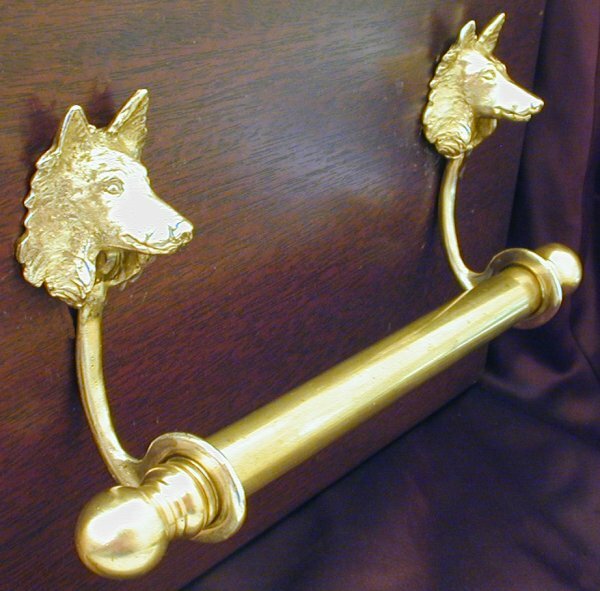 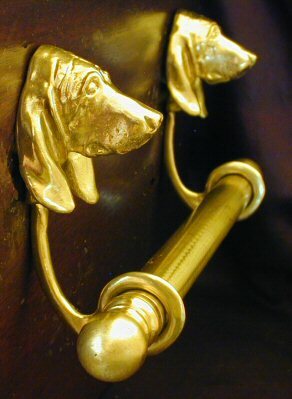 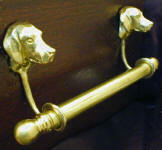 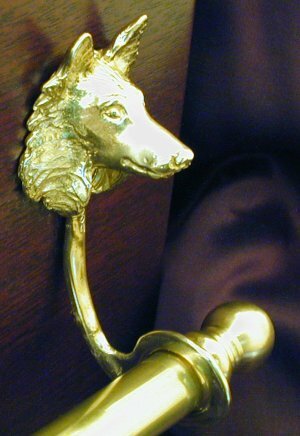 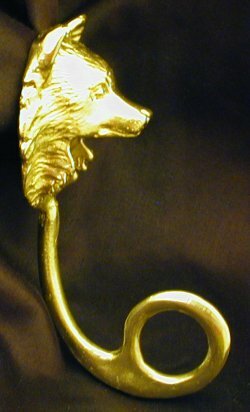 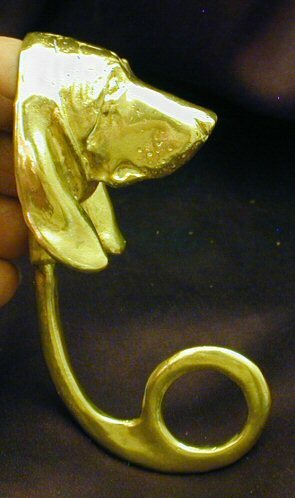 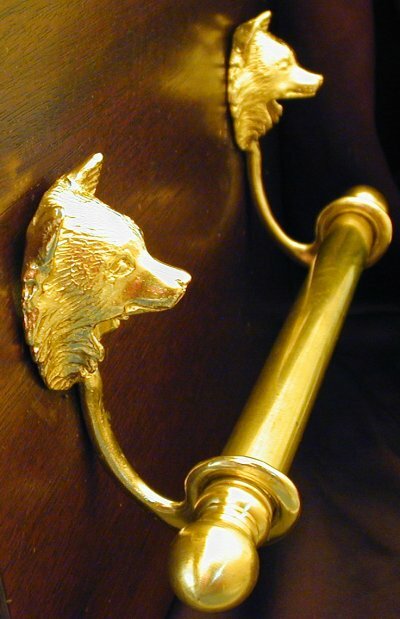 Wonderful Dog Heads for 5/8" diameter towel or curtain rods. 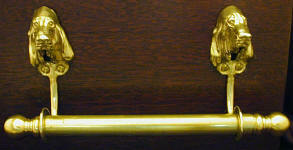 The head is above the bar, so it will show even if the towel or curtain in place. 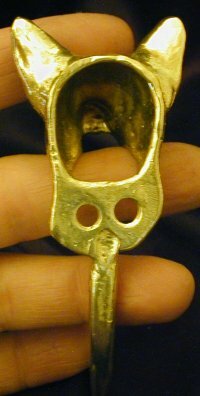 A loop extends downward from the head, from which to support the rod about 1 1/2" from the wall. 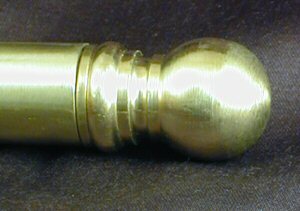 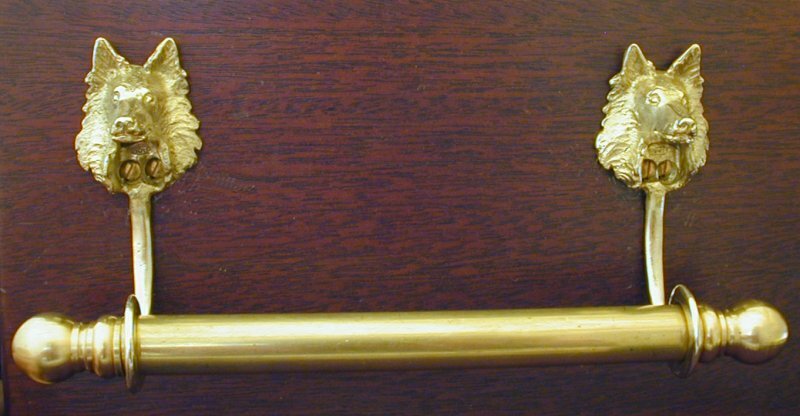 If you use my brass rods, they have a bushing and finial which is screwed onto a threaded rod that extends the length of the curtain or towel rod. 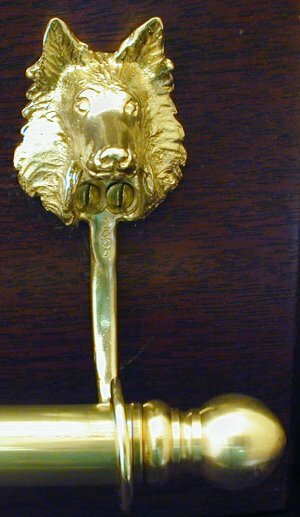 The round finials make an elegant ending to the rod, and prevents the rod from pulling out, unless you unscrew the finial. 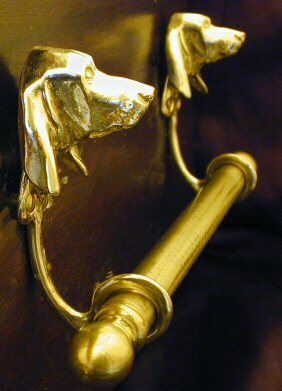 The finials extend about 1 3/8" beyond each end of the rod. 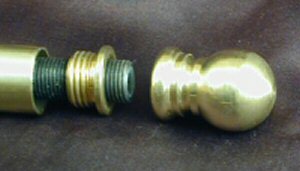 Here are enlarged pictures of the finials on the rods. 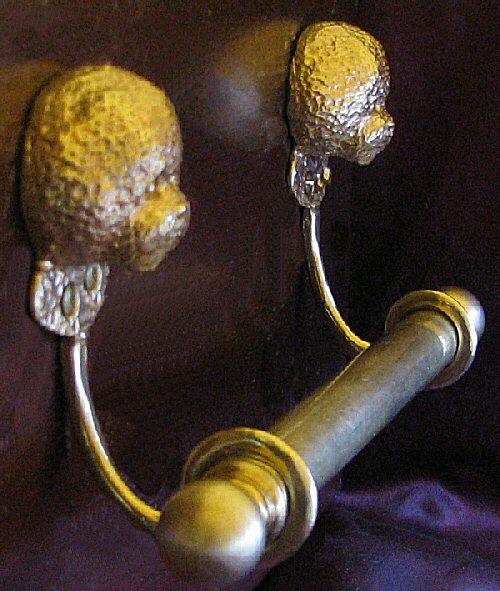 They have a threaded rod that goes through the middle, which is held in place by a bushing and the end, and finished with a decorative finial, both of which screw on to the ends of the rods. 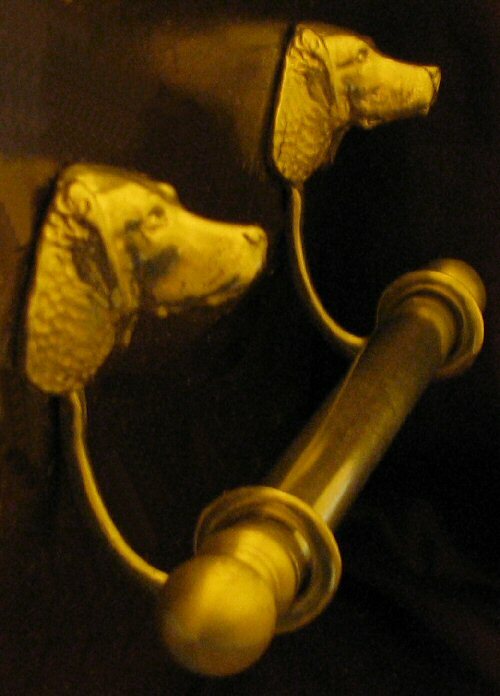 Obviously just starting these dogs. 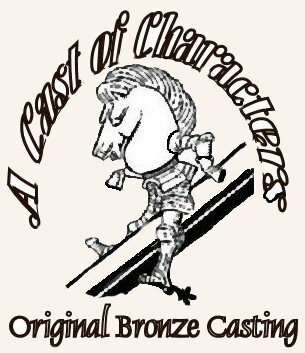 Please let me know what you would like! 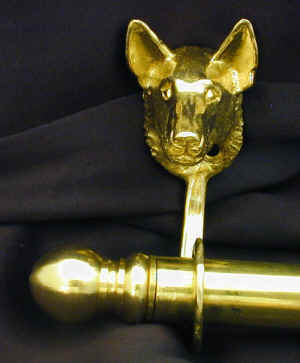 My new dog hardware is mostly customer driven, so please let me know in which ones you are interested, or if you want new items with this one.